In some cases we really need to protect our priceless web content in order to grant access to only certain people to it or else dynamically customize a part of our sites baseding on the specific customer that has been actually observing it. But how could we actually know each particular site visitor's personality due to the fact that there are so many of them-- we should look for an reliable and straightforward solution learning about who is who. 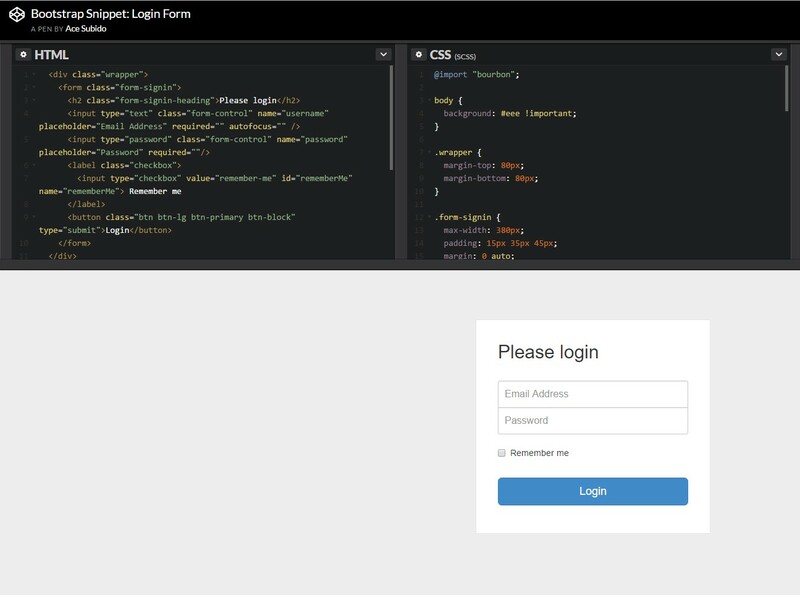 element to wrap around our Bootstrap login form. elements ought to be incorporated -- at least two of them really-- one for the username or email address and one-- for the particular user's password. 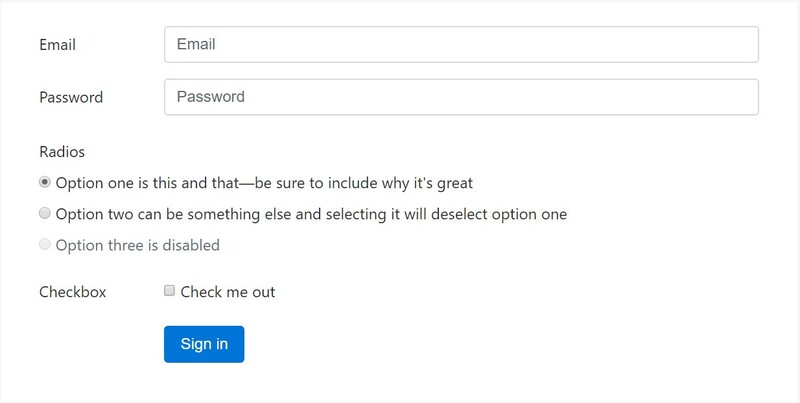 for = " ~ the email input which comes next ID here ~ "
attribute and special relevant tip for the users-- just like " E-mail", "Username" or something. id=" ~ some short ID here ~ "
for= " ~ the password input ID here ~ "
id= " ~ should be the same as the one in the for attribute of the label above ~ "
attribute to match the input and the label above. classes to specify the width of your labels and controls. 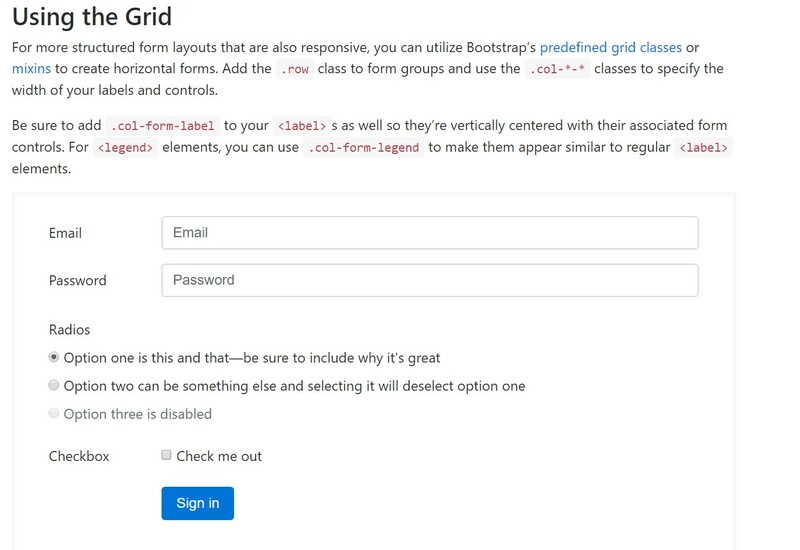 Primarily these are the primary elements you'll want to create a standard Bootstrap Login forms Layout through the Bootstrap 4 system. If you angle for some extra complicated visual appeals you are actually free to take a full advantage of the framework's grid system arranging the elements pretty much any way you would think they must occur.